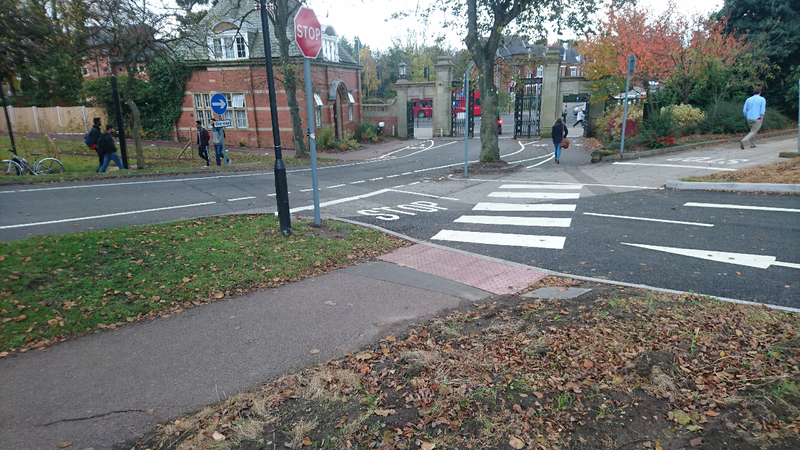 Mix together a narrow road, poor visibility, big gates, pedestrians from the Sports Cente, tidal flow vehcular traffic and contra-flow cycle lanes on what was the safest crossing to campus for cyclists, and then add in another traffic flow from a car park… The result – dangers for all road users: motorists, pedestrians and cyclists. BUBUG first took this up with the University in May but the plan went ahead virtually unchanged. The University should take immediate action to protect all road users – shutting the car park would be a good start.